The next day, there was a rugby tournament and Callum was thrilled to hear that he was eligible to play with the U10's. He was a useful addition to the team, scoring 11 tries in the 4 matches, which went a good way towards helping the team win the tournament. 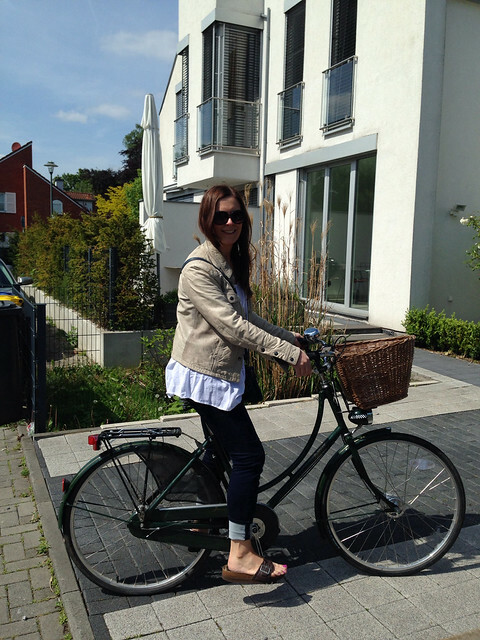 Afterwards, while the kids hit the pool again with Cora's husband, we cycled a 14 mile round trip into the city centre of Dusseldorf along beautiful tree-lined avenues and wide cycle and pedestrian friendly paths, along the River Rhine. I borrowed Cora's Scholl sandals as I hadn't quite broken in my Boden sandals after lots of walking the day before and her jacket, as the mac isn't very bike friendly. 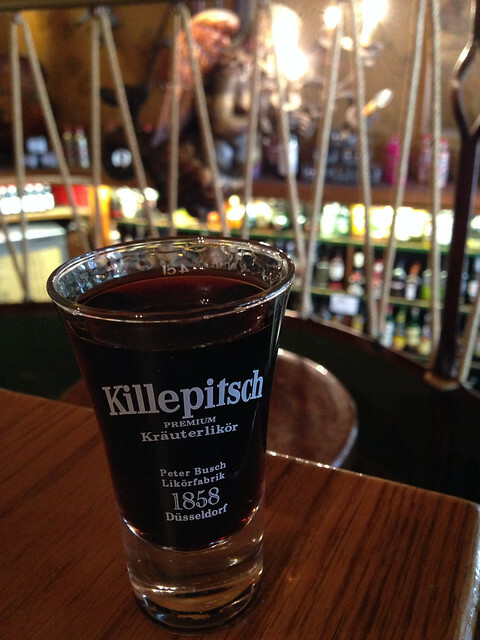 We had a sneaky glass of the local liqueur, Killepitsch...not the best idea when in charge of a bike in a foreign country I will admit! Monday saw us take the tram into the city again for a bit more sightseeing & shopping - with the kids. So I'm sure you can take a guess at how shopping with two 10-year olds went?! 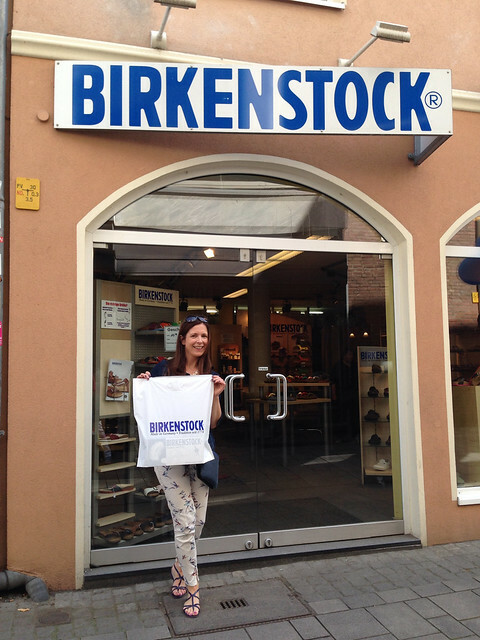 I did however manage to pick up some man repelling Birkenstocks at the Birkenstock shop. It was pretty amazing being in the actual shop - the selection was incredible! I'd already decided that I either wanted the double strap Arizona or the toe post Gizeh. 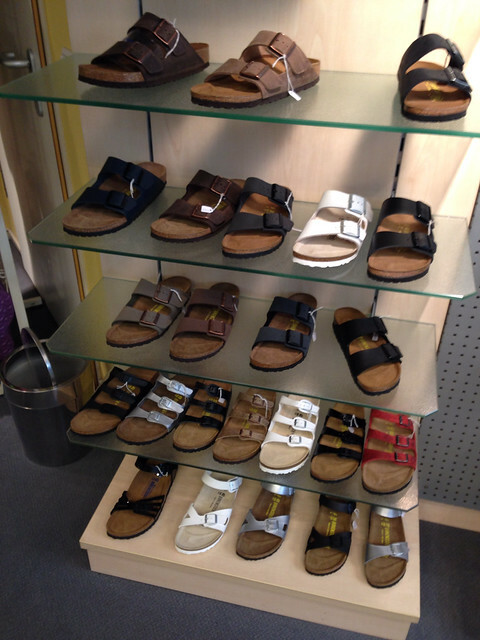 What I discovered in-store is that you can buy most of the best selling Birks in leather or textile upper - a consideration if you're comparing prices. I didn't like the textile, though it felt lovely and soft, it's not going to be as hardwearing and the price difference wasn't significant enough. You can also opt for a hard or soft footbed in some of the styles, but I didn't find a huge difference between these. After trying on many pairs - so many, that Callum actually fell asleep on the couch in the shop - I ruled out the Gizeh but I couldn't decide which colour to get in the Arizona. The white was too much, the black was quite heavy looking and the navy wasn't available in my size. 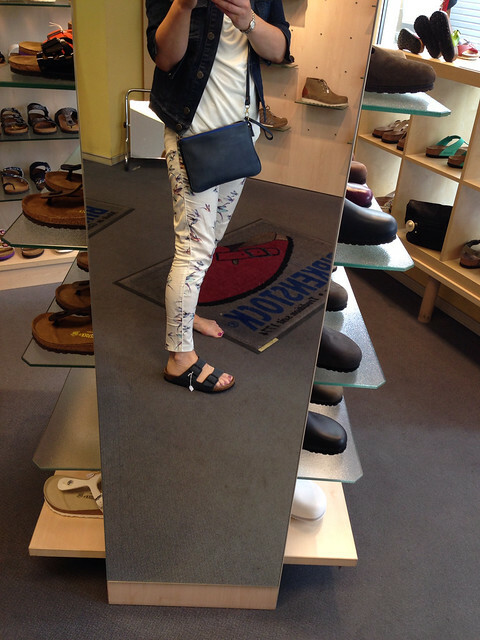 Then the shop assistant brought out the basalt colour - a dark grey nubuck leather and I was sold! And yes, they are a bit cheaper in Germany. I paid €54.95 for them and they retail at £64.95 on the Birkenstock UK site. But as with most things, a bit of googling and ebaying may get you a pair cheaper. 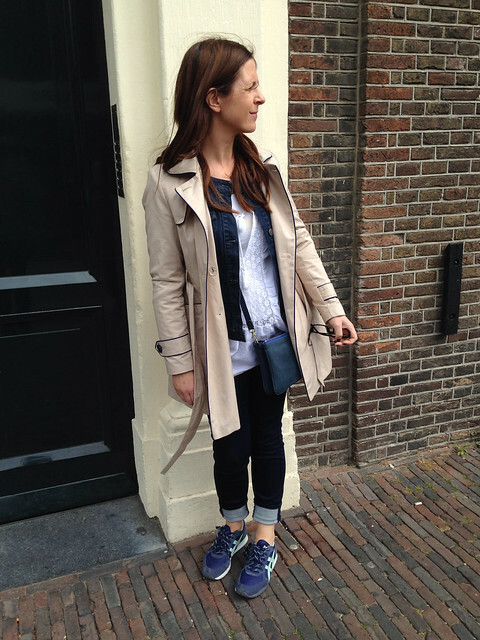 Size wise, I am usually either a 39 or 40 in sandals but in the Birks I was definitely a 39. Shopping wise, I didn't get anything else in Germany apart from presents for the kids. School items like stationery, are gorgeous over there so I was able to pick up lots of nice practical bits for the girls, like gym-kit bags and pencil cases. Generally speaking, the Germans spend more money on quality items. They had a range of school bags in the department store we visited and I honestly think they would last the full 7 years in primary school - they were strong, waterproof, practical and €100! And that same trend was visible in home wares and shoe shops. Though having said all that, Primark just opened in the city and it was mobbed on the first day. I had a quick look in a few other shops and I found Zara cheaper - most of the GBP prices were in EUR which equates to about a 15% difference. If it wasn't for Easyjet and Ryanair's extortionate luggage prices, we'd all shop more abroad I reckon....a blessing in disguise perhaps?! We stayed mostly to the west of the city where there are lots of pretty canals and bridges and after a boat trip and a long walk around that area, we finished up with a pre-booked visit to the Anne Frank house and museum. Even on a Tuesday afternoon, there was a queue of about 100 people who hadn't pre-booked so we were glad we'd planned ahead. We were brought past all the crowds and went in a separate door to start our tour exactly at the time we'd booked it. Instead of finding it depressing (which is why I'd never visited on either of my two previous trips to the city), I found the Anne Frank museum moving and inspiring. It's of course sad, especially watching the videos of her friend and her father (who survived) but overall, it's an immensely powerful place and seeing the throngs of young people there, I was struck by the legacy this brave young woman left behind her. Back to the airport for our flight to Belfast and by 9.30pm last night, we were home again. I wore a pedometer while we were away and on average each day, we walked 14,000 steps so it's fair to say we slept well last night in our own beds! 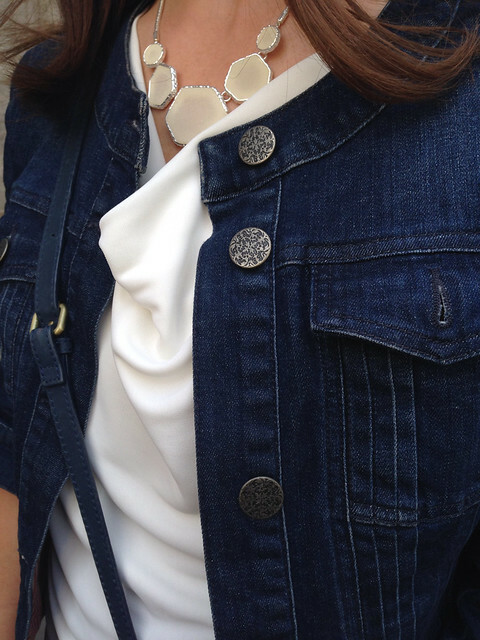 I've load of posts to catch up on this week so I'll be back tomorrow with a fab breton striped jacket! Looks like you had an amazing time, how lovely to have all that time with your son. 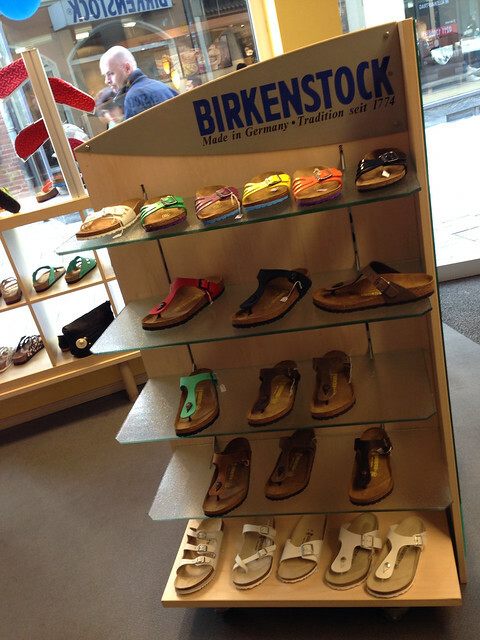 The Birkenstock shop looks amazing, I have the Arizona in black, but not worn yet. Come on sun! 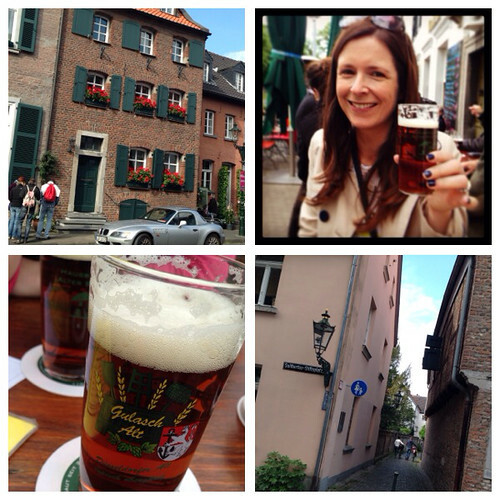 I lived in Dusseldorf for a year and you've captured the city very well. 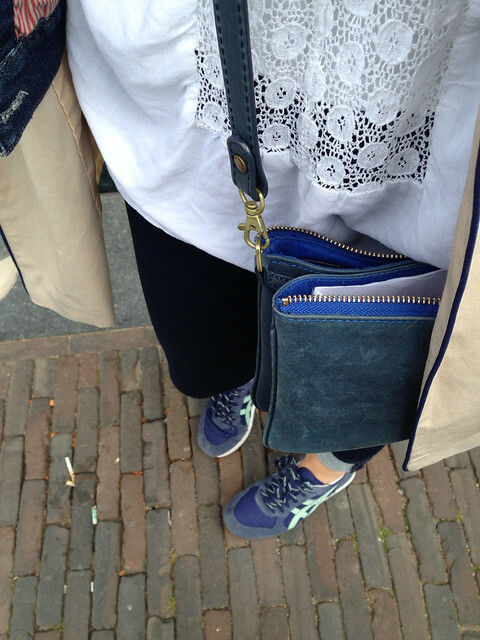 Healthy lifestyle, good food and drink, good shopping and Amsterdam on your doorstep. They earn more and have better weather too! The real Germany is very different from our stereotypes. Saw you in negen straaten area of Amsterdam on tues but didn't say hello because I thought I was mistaken because you'd posted about being in dusseldorf. I live in Brussels and it was my first shopping trip there on my own and I got some fab stuff in Cos. Shame about the weather! What a fabulous trip and so nice to have some one to one time with your Son, especially in a different country. I would love to visit Anne Frank museum. I have the Gizeh Birkenstock and have worn them every year for the past 5 years!!! They have walked miles, even mountain walks.....I had no idea so many people don't like them and think them ugly. :-) oh well, fashion! I'm so glad you enjoyed Amsterdam and the Anne Frank museum. It is a very good thing you got to see it together with your son. Now I also understand why you tweeted that you considered bringing the necklace to Amsterdam! I'm glad you sent it by mail though, because I've already worn it quite a bit and I love it. It also matches well with both my pairs of Birkenstocks, the shiny black Piazza's and silver Mayari's ;-). Aren't they just soooo comfortable? Looks like such a fun trip :) I loved your outfits. 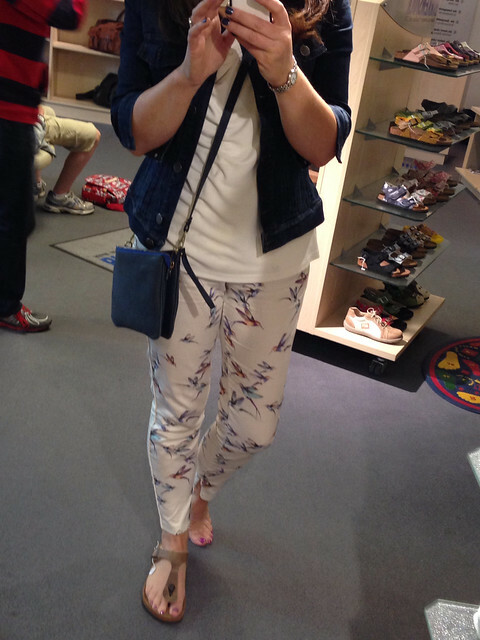 I was wondering where did you get the lovely bird print pants & the trench coat? They're both such fun styles.